Hi there! 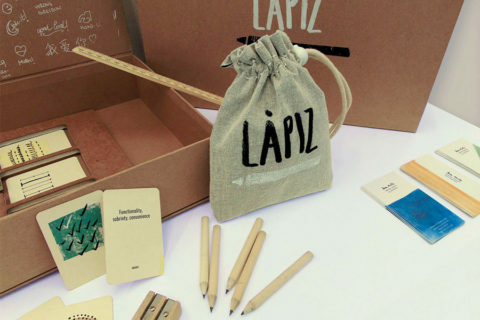 My name is Danielle Lacambra, and I am currently a Third Year Visual Communications student at Dun Laoghaire Institute of Art, Design and Technology (IADT) in Dublin, Ireland. At the end of my first year in college, I was given the brief of creating my very own board game. 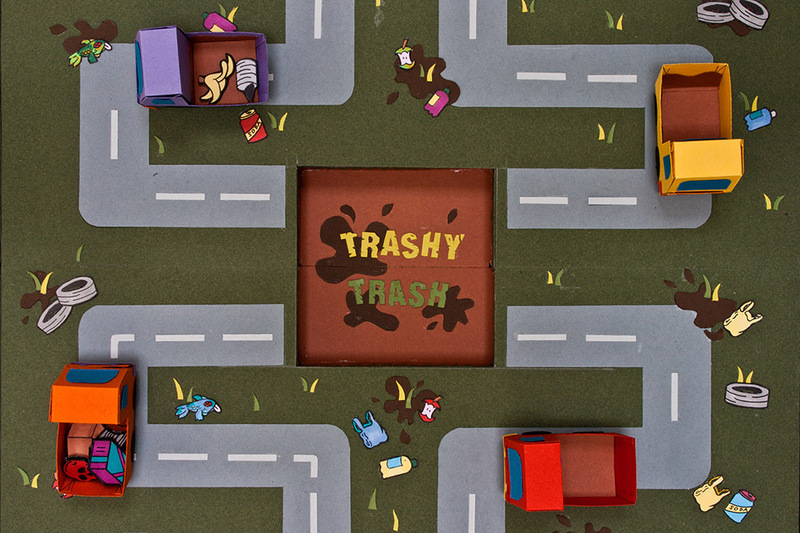 After seven weeks of iterations, group crits and paper-crafting, I came up with Trashy Trash – a playful recycling board game aimed to engage and educate young kids. From the get-go, I knew I wanted to make a board game that was both fun to play and to look at. After several brainstorming sessions, I decided on the idea of designing a recycling board game. I chose the subject matter of waste management as I wanted to take the opportunity of teaching young children the idea of recycling in a fun and engaging way. 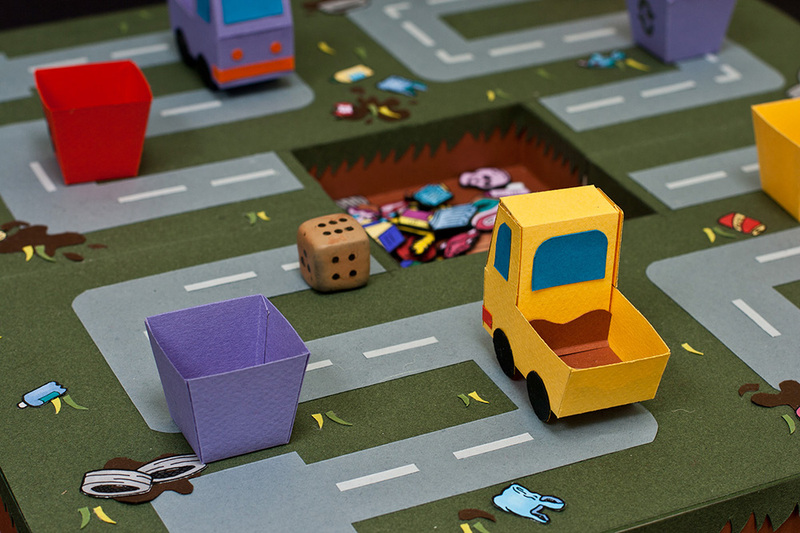 The concept of the game is pretty simple — you move your truck along the board to get to the pit in the middle, where you fish out rubbish tokens for your bins. From this pit you can fish out various types of rubbish, like dead cats and cow dung. 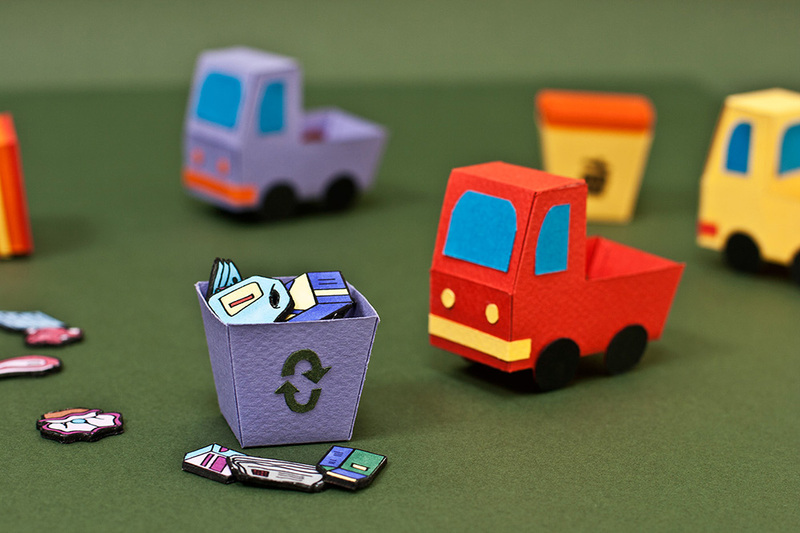 To win, players simply have to deposit fifteen recyclable tokens in the respective recycling bins at their base. The game was created with the consideration of young children, so playful hand-rendered illustrations and bright colors are used. I had a lot of fun coming up with the various types of rubbish tokens, from cow dung to even grandma’s dead cat. 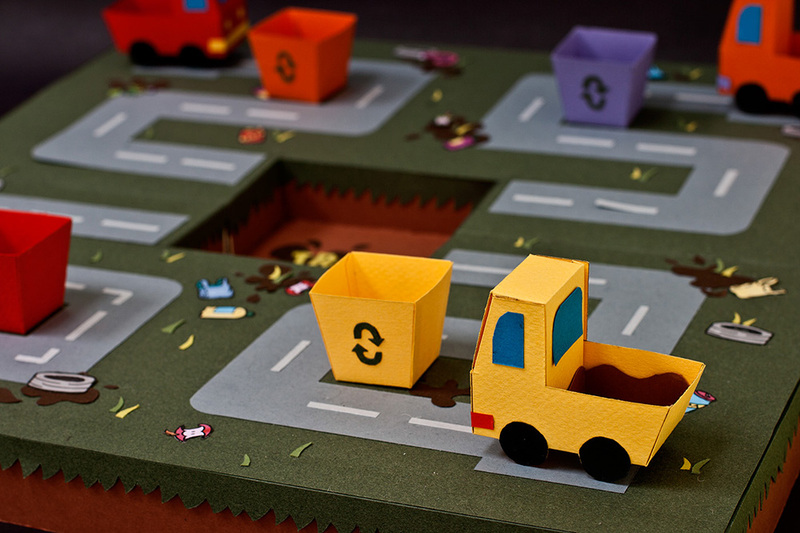 The game’s packaging consists of a recycling truck with two ‘upper’ and ‘lower’ decks. 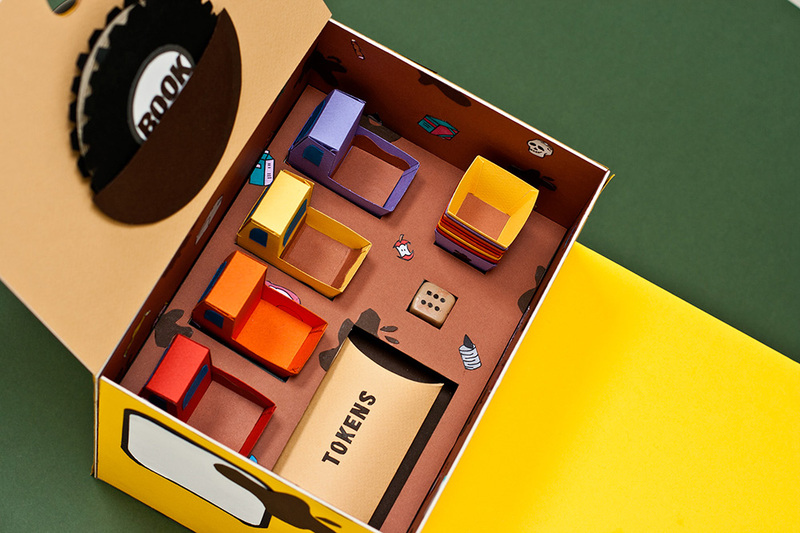 In the ‘upper’ deck, you can find the instructional booklet, paper trucks and rubbish tokens. 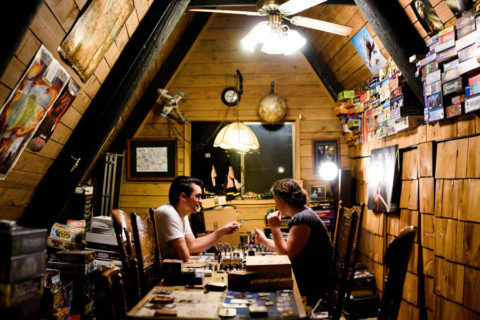 Meanwhile in the ‘lower’ deck, you can find the board game neatly tucked away. In keeping with the whole ‘recycling’ theme, I also designed the instructional booklet in the shape of a truck wheel. What I enjoyed most about the design process was coming up with playful ways to engage the target audience. 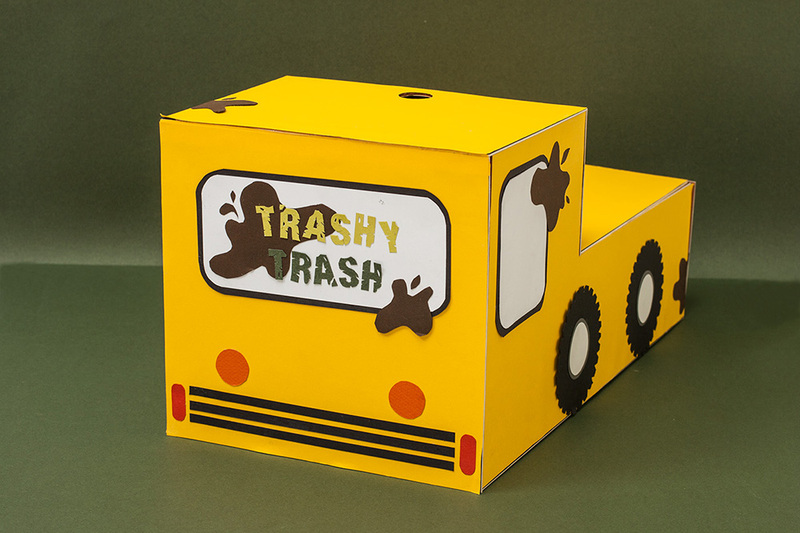 To this day, Trashy Trash remains one of my favorite college projects. What a great concept. I would very much like to play this with the kids I work with at my school. Looks absolutely awesome! Can I purchase a copy please? Great work! Would love to play more. It looks so peaceful! Great story and nice photos. 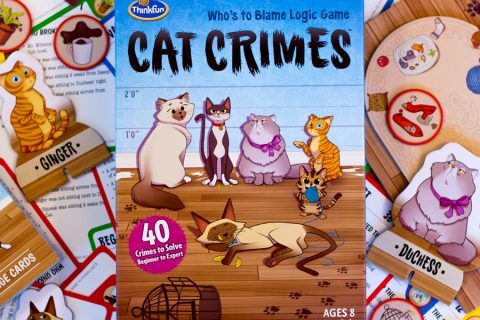 Would love to purchase this game? Is this available in 2018?